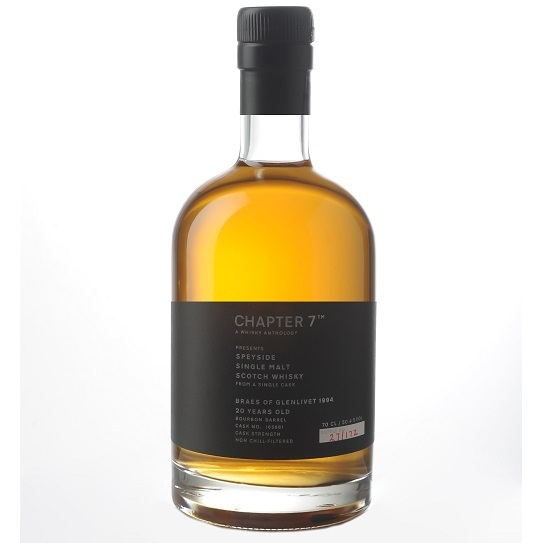 From Chapter 7’s series “A Whisky Anthology” comes this single cask with cask number 165681. It is from a Bourbon barrel and only 172 bottles were made. White fruits and floral notes in the smell. Sweet honey and glazed pears. So sweet in the taste perfectly mixed with some citrusy notes. Apples and pears, but in the dessert kind of way. Loads of vanilla and gentle oak influence in the finish. Very soft without lacking any flavour. The honey notes lies in the background all the way through like a thin layer in the mouth. The white fruits are the dominant parts though. The flavours are good all the way through, but the highlight in this whisky is the silky smooth balance and the complexity. Even though it is very light and sweet flavours, there is actually a lot going on if you just sit down, relax and let the whisky talk to you. I will rate this 88/100 (21/22/22/23).